As a savvy hostess, I tried to entertain smarter so I can spend more time with guests instead slaving over a hot stove in the kitchen. Usually I try to prepare luxurious looking food that are easy to prepare. I am a big fan of smoke salmon because everyone seems to always enjoy this and it is quite stylish when presented well. Over the years, I find myself going back to the following finger food dishes over and over again! 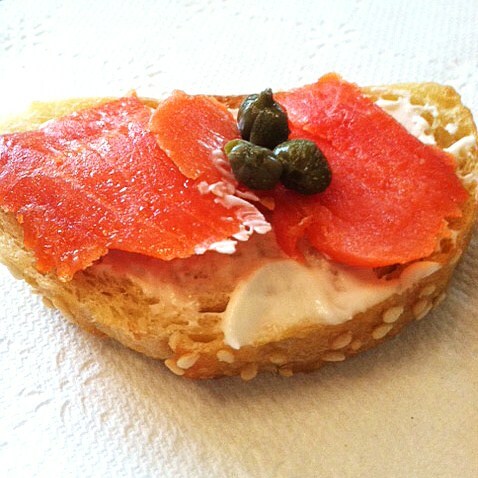 I like to serve smoke salmon on toasted sesame artisan bread from Ralph with cream cheese and capers. Bread is pre-sliced so I literally throw bread slices into the oven and toast until slightly crispy. It takes less than 10 minutes to make a large platter for a houseful of guests. 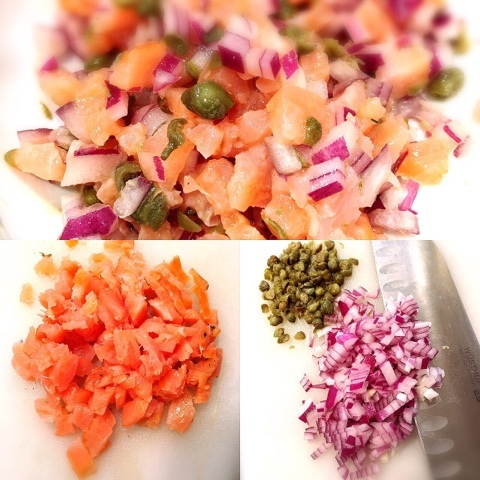 If I have more time, I will chop up red onion, caper and smoke salmon to mix with olive oil and lemon juice. Let the mixture sit for at least 30 minutes and serve with crackers or bread. Another favorite is mini sausage links of choice. I am not a baking type of gal so Pillsbury croissant dough came to the rescue. 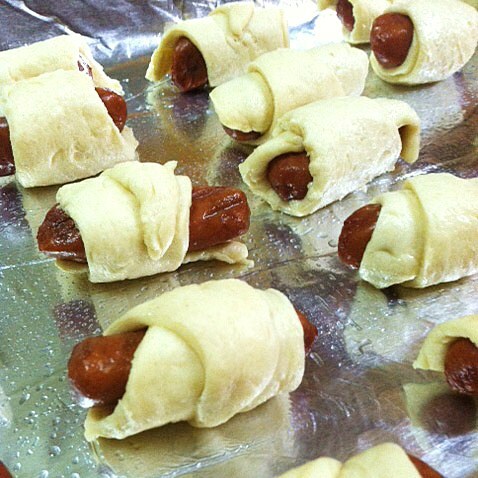 Just unroll dough, cut into small triangles, enough to roll around these mini links. I mean who doesn't like these sausage rolls. If kids won't eat anything else, they will eat this. A gal pal taught me this dish a while ago, and I have made it couple of times to raving reviews. See how here. Basically, it is cream cheese, salmon roe, slivers of lemon, red onion and basil over artisan bread or cracker. 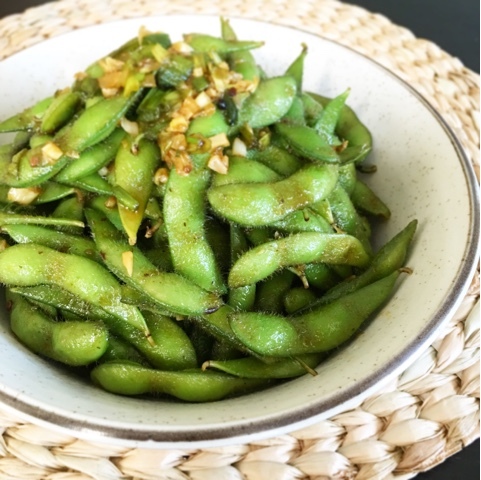 I used to order this garlic edamame all the time in restaurants. 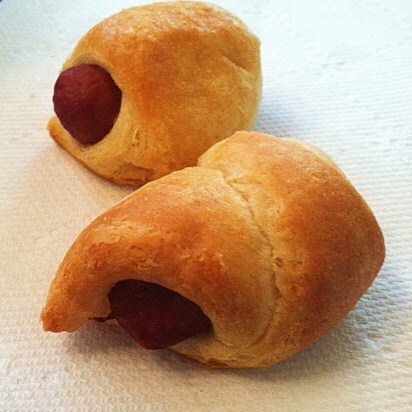 Now I make it whenever I feel like having a little snack or need finger food for parties. See how here. Just heat up veggie oil, add sesame oil, and garlic to cook until slightly golden. Add soy sauce and sugar to taste and toss with warm cooked edamame. Last but not least, garlic butter shrimp or prawn with cayenne pepper. Simple cook shrimp in butter, garlic and season with salt, pepper and cayenne pepper for a bit of kick. 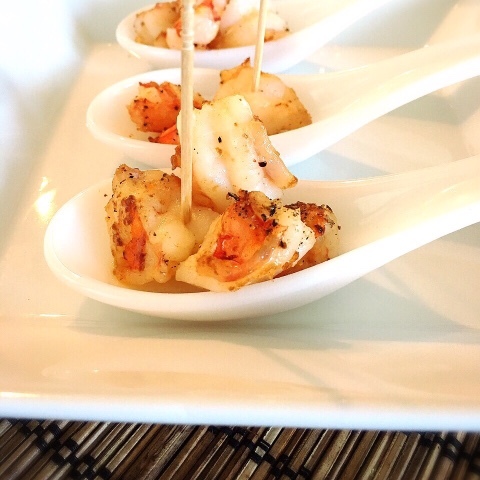 I like to use large prawn pieces and serve with toothpick for my guests. It is just so much more luxurious this way than on a big platter. 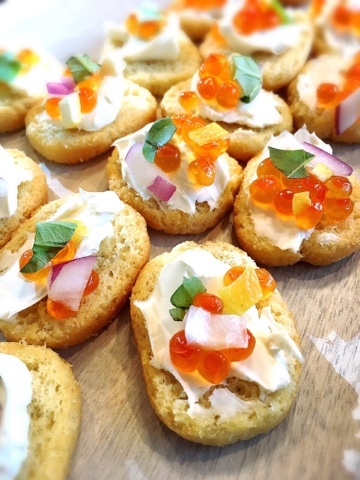 What are some of your favorite finger food to serve? After all the complicated holiday cooking, I love these easy recipes. So true - keep it easy and tasty! Yum! I often do chips, guac, & salsa. Love petite bites. Salmon looks delicious.